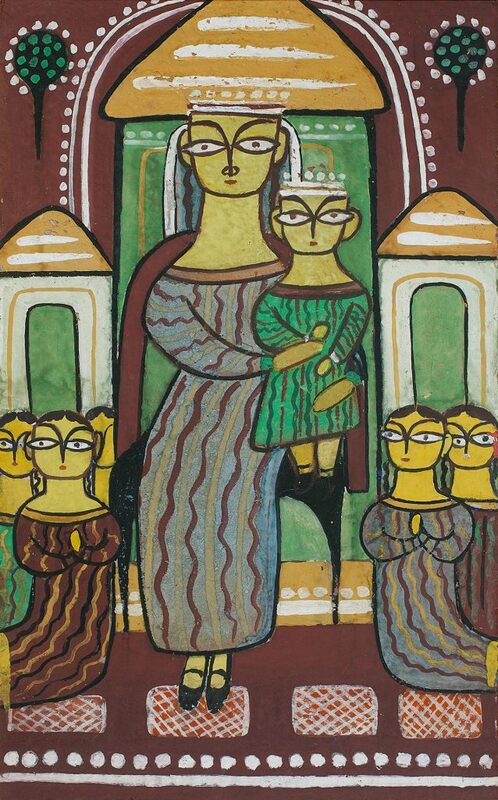 Having acquired sufficient skills in the European academic-realist mode at the Government College of Art & Craft, Calcutta, Jamini Roy began his artistic career painting landscapes and portraits in the post-impressionistic style. 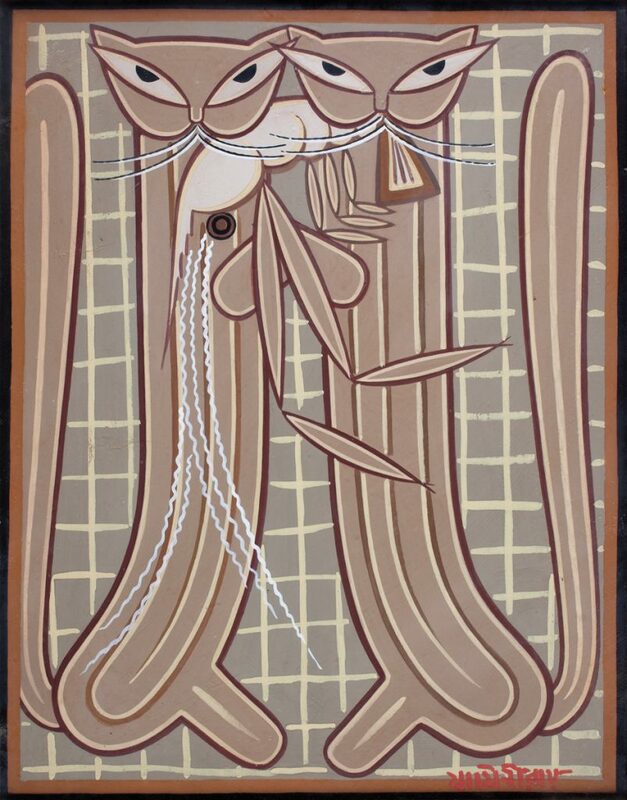 Roy later moved away from these and began to experiment with a more indigenous visual vocabulary. His early experiments were paintings on woven mats to achieve a mosaic-like effect. 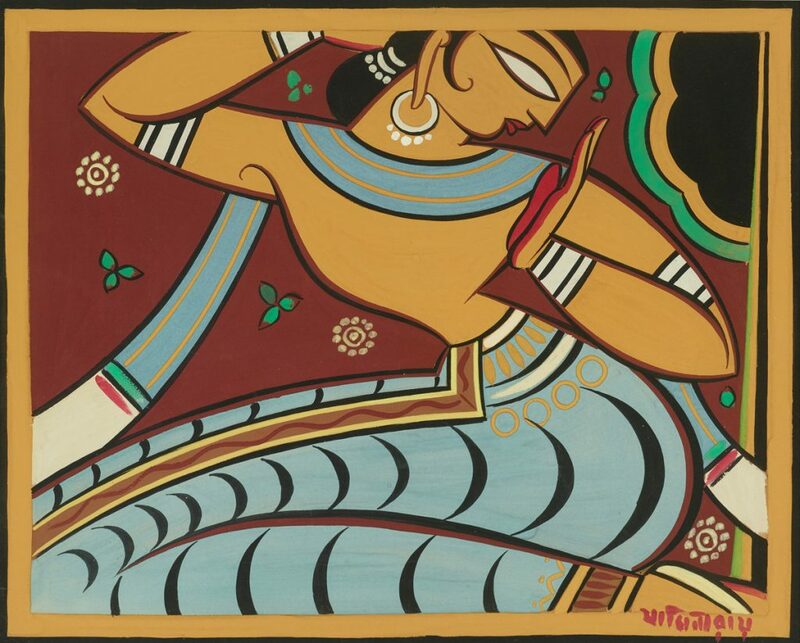 Level surfaces, flattening out of design in depth, the use of dissonant primary colours, and the equalisation of planes were other aspects of Bengal folk painting that Roy appropriated into his work. 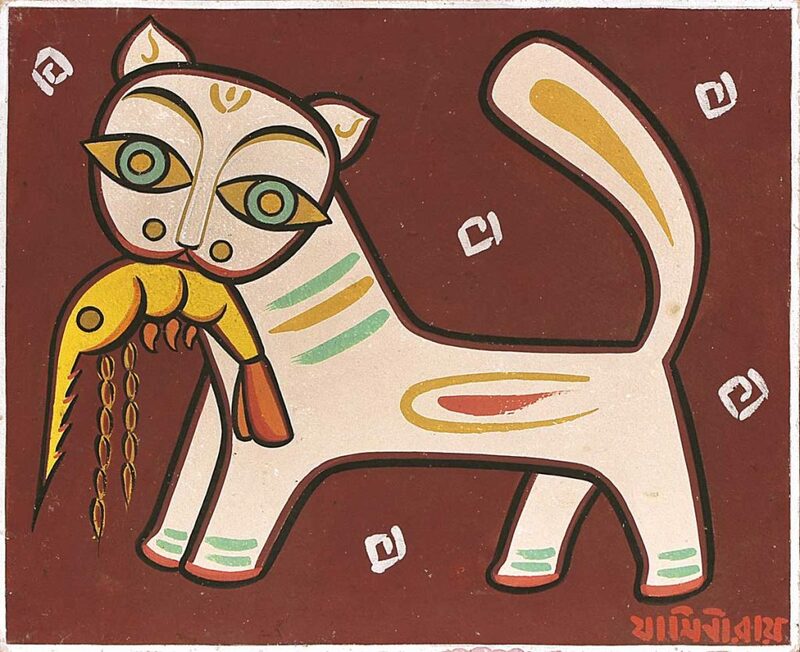 Also, he took up the volumetric forms of the Kalighat patachitras. However, unlike the quick spontaneous brushwork of the traditional patuas, Roy’s lines are more restrained and delineate a precise form. For Roy, interest in folk art carried deeper implications than merely formal or stylistic possibilities. 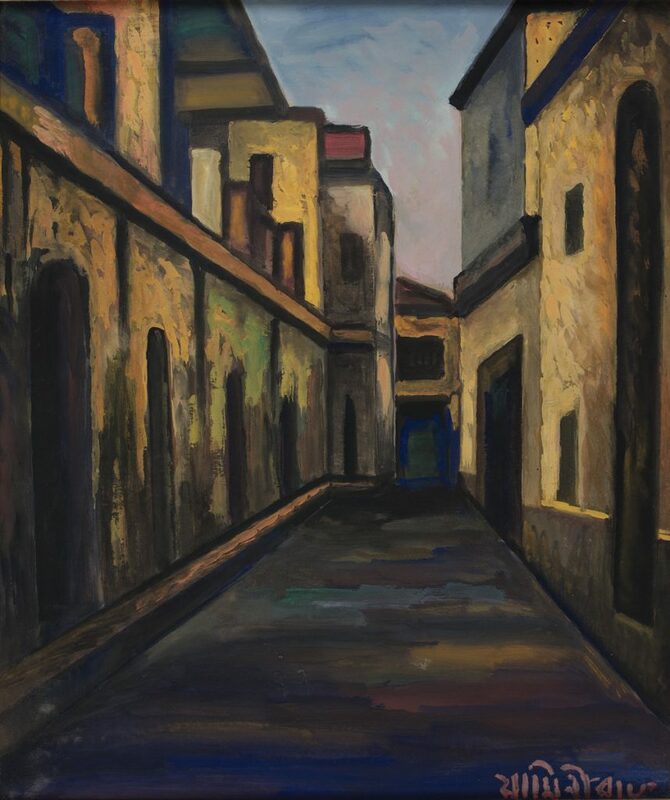 He would take up a subject and paint version after version, breaking and reforming the theme, as it were, over a few months – a long process. Turning his family into a production unit, Roy tried to actualise the link by emulating a craft-guild mode of artistic production. His interests were wide, ranging from the visual characteristics of home-sewn Bengal quilts to the Byzantine icon, from mythic tales closer home to Christian themes. 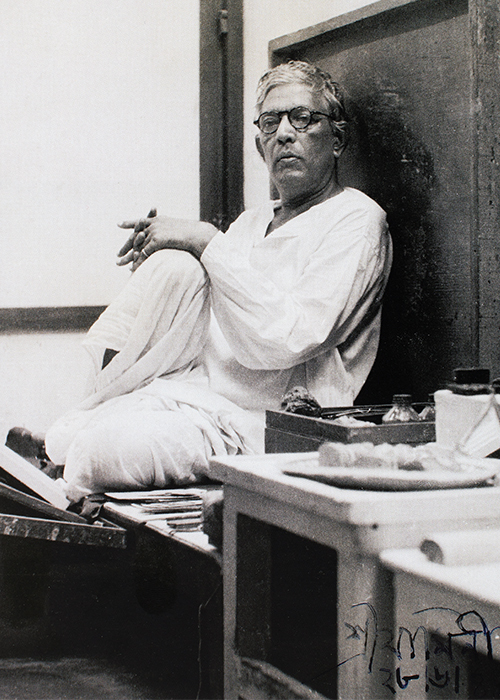 Jamini Roy was awarded with the Viceroy’s Gold Medal in 1935, the Padma Bhushan in 1955, and elected a fellow of the Lalit Kala Akademi the following year. His works are National Art Treasures and cannot be exported.